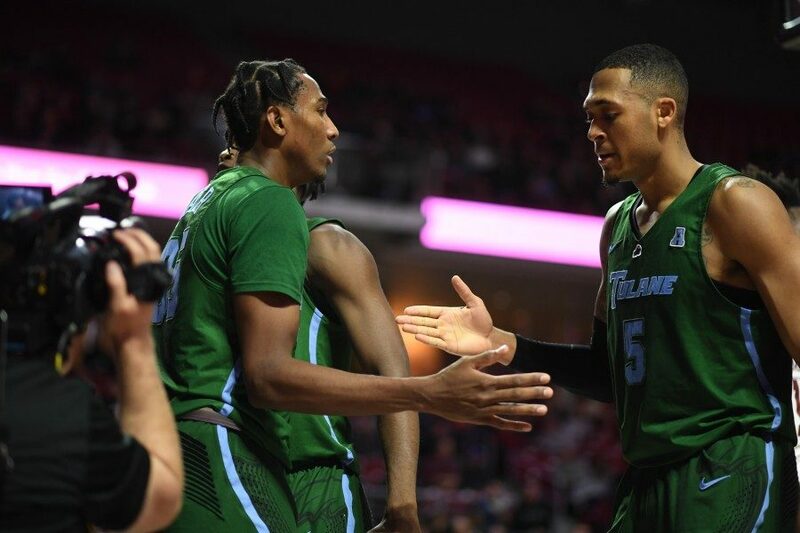 Tulane's Melvin Frazier and Cameron Reynolds give a high five mid-game. Frazier will be hoping for a good selection in this coming year's draft. NBA-bound? 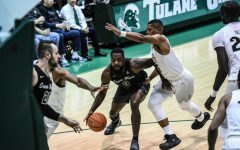 Tulane men’s basketball has not seen a player drafted since Jerald Honeycutt in 1997, but the Green Wave’s own Melvin Frazier has the opportunity to break this 21-year drought following the announcement that he is declaring for the 2018 NBA Draft. Frazier has seen steady performance improvements since his 2015-16 freshman season. The junior averaged 15.9 points, 5.6 rebounds, 2.9 assists, and 2.1 steals per game in the 2017-18 season. Year after year, Frazier has made improvements in each of these categories. Along with these enhancements has come increased attention for the 6-foot-6 swingman. ESPN has ranked Frazier as the 31st overall prospect in the 2018 NBA Draft. Frazier’s defensive capabilities have always been his strong suit, but with the improvement of his offensive game, in particular his 3-point shot, NBA teams are viewing him as a potentially dangerous two-way wing. The Louisiana native is projected as a late first-round or early second-round pick. In one of ESPN’s numerous mock drafts, Frazier was selected as the 24th overall pick of the San Antonio Spurs. 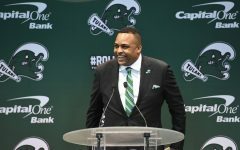 Frazier’s skillset and background could potentially be a good fit for Spurs coach Gregg Popovich’s aging squad. Spurs wings Danny Green and Rudy Gay both have the option to opt out of their 2018-19 contracts with the team. This potentially disastrous situation puts the Spurs in quite the predicament. Enter Melvin Frazier. 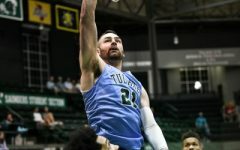 The Tulane product could be a youthful gap-filler for the Spurs, giving the team certainty at the wing position. While Frazier would still be a developing rookie, he could provide certainty and youthful energy to an uncertain and aging locker room. 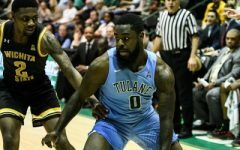 Should Frazier not garner much attention leading up to the draft, he has acted according to NCAA rules to retain his eligibility for a senior year with the Green Wave. 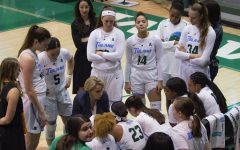 In that case, Wave fans would have one more year to witness the development of Tulane’s apparent first NBA-bound player in 21 years.